The shoulder straps and backpack straps are necessary aid in using cases for string instruments. They allow you to accordingly carry the instrument on your back or shoulder. The shoulder straps and backpack straps have a wide range of regulation. Most are finished with metal swivel snap hooks. Used in shoulder straps and backpack straps the pads are usually made of non-slip materials, so that after adjusting them, they do not move during use. Offered accessories for cases are used to replace old, worn shoulder straps and backpack straps, not only of our production. Most of them are universal and can also be used for cases of other brands. 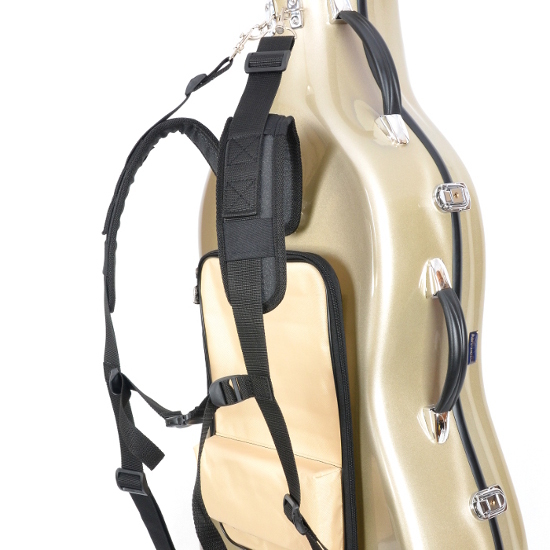 The new solution offered by us is the use of special backpack straps fixed in 6 points in cello cases. Using such backpack straps, carrying the case on the back becomes very comfortable.